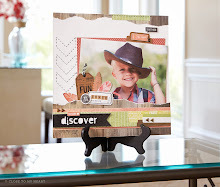 Stamp Happy: Studio J Layout - It feels good! I loved that I could pick out and create with RETIRED paper packs for my layouts. The pages I created were from our 2008 Close To My Heart Mediterranean Cruise. 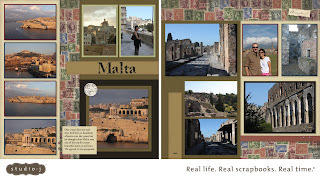 It was really fun to make the pages (I'm always a little surprised by that, since I'm usually an EXTREMELY slow scrapbooker)...yes, these pictures were taken four years ago. I'm very linear, so I love boxes and straight lines. (But I think there's a way to arrange your pictures at an angle, if that's what you like.) One of the things I liked best was that I could change text boxes to photo wells, and vise versa (because I just had one more picture to add...) I also like the fake stickers and embellishments. 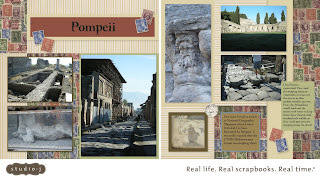 As much as I love to make bumpy cards, I HATE bumpy scrapbook pages. Call me weird. Did you know you can play with Studio J for free? Click here to start! Create an account, log in and make some scrapbook pages! If you like what you made, you can buy it (and/or buy a membership and get the layouts for 1/2 price). If you don't like it, they'll just fade away into the sunset (eventually). It's all good! Try it, you might like it!